I started writing this post January 30th, here we are on the last day of February and it’s still not posted. In fact, I haven’t even touched this poor little neglected blog since the second to the last day of January. Odd, how life works. Guess I needed time away from being an active participant of the interwebs for a while. There comes a time when you just need to take a seat and spend some time in the audience. 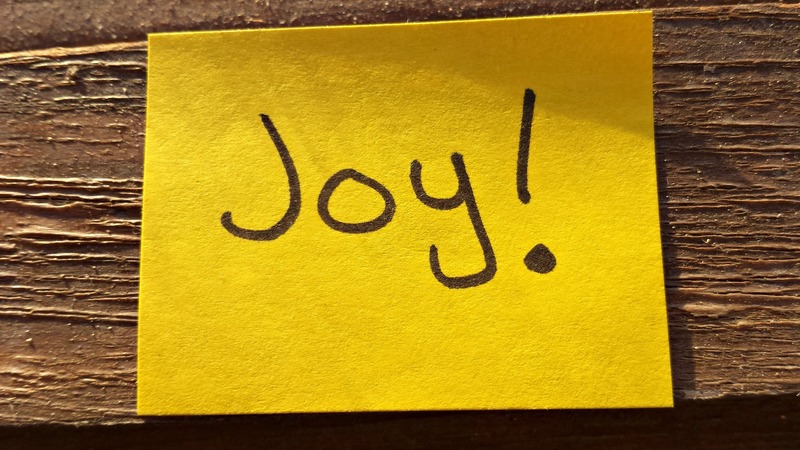 I will seek joy in the small things, joy in the big things, joy in the happy things, joy in the sad things, joy in anger, joy in tribulations, and yes…I will even seek joy while I’m scraping last nights dinner off the dishes I was too lazy to do the night before. And, I don’t only want to be a joy seeker, I want to be a joy giver, a joy bringer, I want to be the Santa Claus of joy! Actually, that can’t happen because Christ already has that title, but I want to be as close to the Santa Claus of joy as I can possibly be. If there were one of those carnival strong man games that measured how full of joy you are, and there were a Jesus level, I’d want to be at that level. I want to be so full of Christ-like joy I ooze it onto those I encounter. I pledge to myself, to avoid those things that I have allowed to take my joy, and if they are unavoidable, I will try to find joy in those situations. I’ll be honest, I’ve sort of failed at this lately. With some annoying health issues cropping up the past couple months I’ve found it hard to be joyful, and even harder to spread joy. Instead, I’ve been spreading the grump, it’s like a horrible infectious disease that eats away at it’s carrier and can easily rub off on those nearby. But, that’s gonna change because I can hear those bells…the Santa Claus of eternal joy is always near by all I have to do is listen.